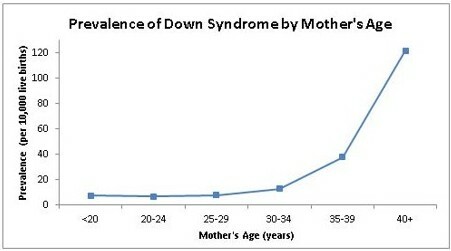 Down syndrome creates many day-to-day changes and potential medical complications. We aim to prevent and/or detect medical and developmental issues early on in order to help the Down syndrome child better adjust and thrive. Our staff works directly with your primary care physician, providing care plan reports and recommendations for home goals and community socialization. For the convenience of the family, the clinic staff coordinates all consultative appointments with PMCH specialists on one day in one locations at our clinic. This includes St. Vincent pediatric specialists in cardiology, ENT, and adolescent medicine, genetic counselors, as well as, therapists (speech, audiology, occupational and physical therapy), dietitians and social workers. Families can expect to spend approximately three hours in the clinic. Comprehensive genetic risk assessments and genetic testing helps the family better understand their child’s condition and factors that may impact other members of the family. During pregnancy, this specialist coordinates care with the maternal fetal medicine specialist and neonatal team at St. Vincent’s Level 4 NICU (Women’s Hospital) in advance of the birth. From newborn through childhood, diagnose genetic syndromes and help manage the plan for healthy growth and development. Genetic evaluations available to explain stillbirth and fetal loss. The Neuro-developmental Pediatric Clinic team includes a developmental pediatrician, newborn specialist (neonatologist), pediatric physiatrist (rehabilitation specialist for nerve, muscle, and bone conditions), pediatric nurse, physical therapist, and an occupational therapist trained in long-term follow-up care of infants and children who are at risk for developmental delays. Additional resources include the support of a pediatric dietitian, speech therapist and social worker. Through this clinic we provide follow-up care for a child with physical, motor, mental, emotional and social growth delays. This includes coordinating care with the family’s primary care physician. Babies in the NICU will automatically be assessed using several screening tools. 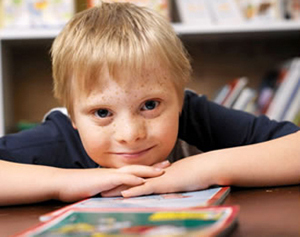 Patient and caregiver education prepares the family for a child with special needs.